7" x 10" drawing executed on 11" x 12.75" illustration board. 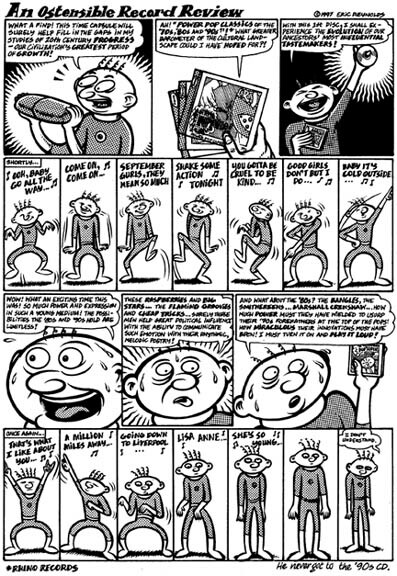 This was published in Ben is Dead magazine, for a section of record reviews done in comics form. So, it's a screwy idea, what can I tell you. My comic was reviewing Rhino's 3-volume "Poptopia! : Power Pop Hits of the '60s, '70s and '80s."